Stony Brook came to Columbia on the heels of a 22-point rally to beat George Washington. COLUMBIA, S.C. (AP) - Akwasi Yeboah scored 24 points and had 11 rebounds to lead Stony Brook to an 83-81 stunner over South Carolina on Friday night. The Seawolves (2-0) led for most of the second half and held on as Jeff Otchere blocked a potential game-winning 3-pointer from Justin Minaya with two seconds left. South Carolina (1-1) was out of timeouts and scrambling to get a shot off after Yeboah missed a layup with six seconds left. Stony Brook pulled down 10 more offensive rebounds than South Carolina and the Seawolves final five baskets were either in the paint or 3-pointers in transition. The Gamecocks only had two chances to tie or take the lead in the final 18 minutes and missed 3-pointers both times. South Carolina was 9-for-23 shooting behind the arc after missing all 18 of its 3s in their opening night win over USC-Upstate. Elijah Olaniyi added 16 points and 9 rebounds while Jaron Cornish had eight points and eight assists. A.J. Lawson scored 23 points and Tre Campbell added 15 for South Carolina. Chris Silva had just seven points and two rebounds and coach Frank Martin didn't put him back in the game after he picked up his fourth foul with 10:18 left in the game. Stony Brook: Perhaps no small school has a better pair of opening wins than the Seawolves. They trailed 22-0 against George Washington on Tuesday, tied the game for the first time with a second left and won in overtime over the Atlantic 10 opponent. They can add a Southeastern Conference win to the list that includes a victory last season over Big Ten Rutgers. 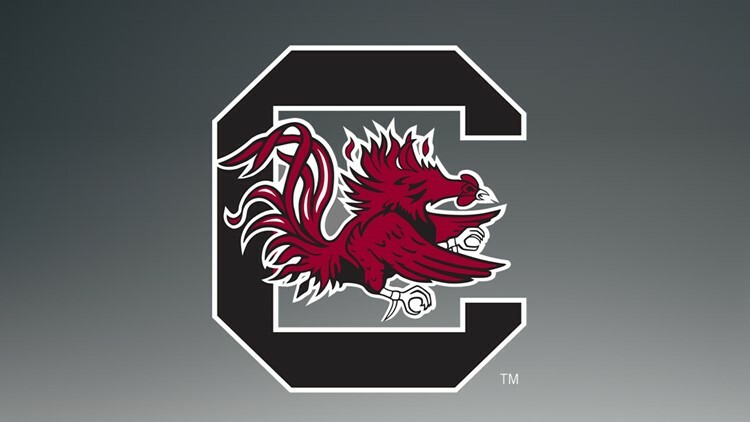 South Carolina: The Gamecocks aren't looking good. They also lost an exhibition game to Division II Augusta. South Carolina is now 4-2 against Atlantic East. They also lost to Maine in 1980. South Carolina played just nine players because of injuries.